For vessels arriving into Fiji from Healthy Ports (free of Malaria, Yellow Fever or any other dangerous communicable diseases), Radio Pratique (approval to berth alongside) may be requested, however, the Health Quarantine officers may still board your vessel for inspection. Fiji is currently free of the Malaria vector; and we would like to keep it that way. Therefore, if you are travelling from or through any of the below list of ports that have been identified as Malarial carrying mosquito areas within the last 50 days, the Health Quarantine department will need to carry out an onboard inspection. If arriving within 10 days, your vessel will be subjected to anti-malarial spraying. 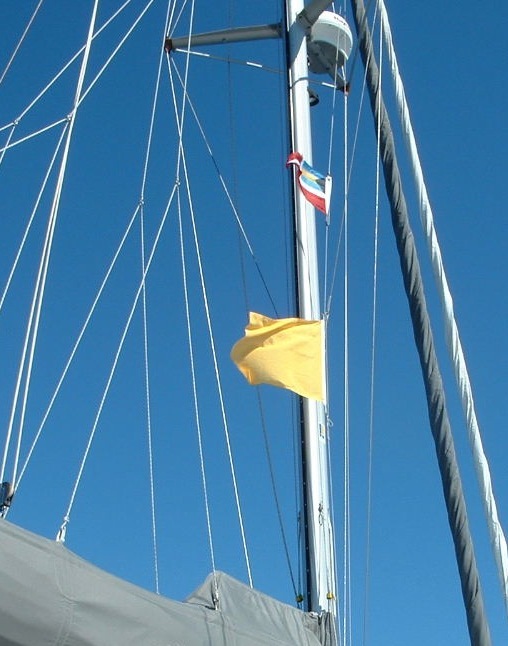 There is a fee applicable for inspection and/or spraying which is dependent upon the size of the vessel. Vanuatu, Solomon Islands, Papua New Guinea, Australia (north of the latitude of Brisbane), Panama Canal, the East Indies, Asia, or any port or place in which malaria carrying mosquitoes are present. You will need to declare this information on your pre-arrival form and you must also notify Port Control that you are arriving from a Malarial carrying mosquito area prior to entering the port. Only after Health Quarantine has given the all clear, will other Border Control Agencies be permitted to board. Anyone travelling within 6 days from, or through a country that is yellow fever endemic (see list below), must produce a valid vaccination certificate upon arrival. This must also be declared on the arrival card. Vessels travelling with passengers who have visited yellow fever endemic countries within 6 days of arrival will be boarded first by Health Quarantine Officers. Angola, Argentina, Benin, Bolivia, Brazil, Burkina Faso, Burundi, Cameroon, Central African Republic, Chad, Colombia, Congo, Democratic Republic of the Congo, Cote d’Ivoire, Ecuador, Equatorial Guinea, Ethiopia, French Guyana, Gabon, Gambia, Ghana, Guinea, Guinea-Bissau, Guyana, Kenya, Liberia, Mali, Mauritania, Niger, Nigeria, Panama, Paraguay, Peru, Rwanda, Sao Tome & Principe, Senegal, Sierra Leone, South Sudan, Sudan, Suriname, Togo, Trinidad & Tobago, Uganda and Venezuela. Outbreaks such as H1N1 and Bird Flu have unfortunately swept through the world’s population in the past. Should such another pandemic occur, arrival from, or through an infected country must be declared. 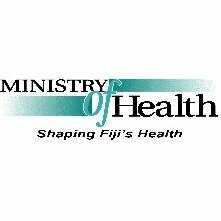 The Ministry of Health will take necessary precautions to keep the people of Fiji safe, and you should check for updates to information during such a time, as each situation will be different. Which is the correct email address to send this form to? 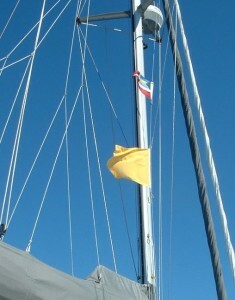 I have not heard of any sailing yachts doing this. What’s the status on this?